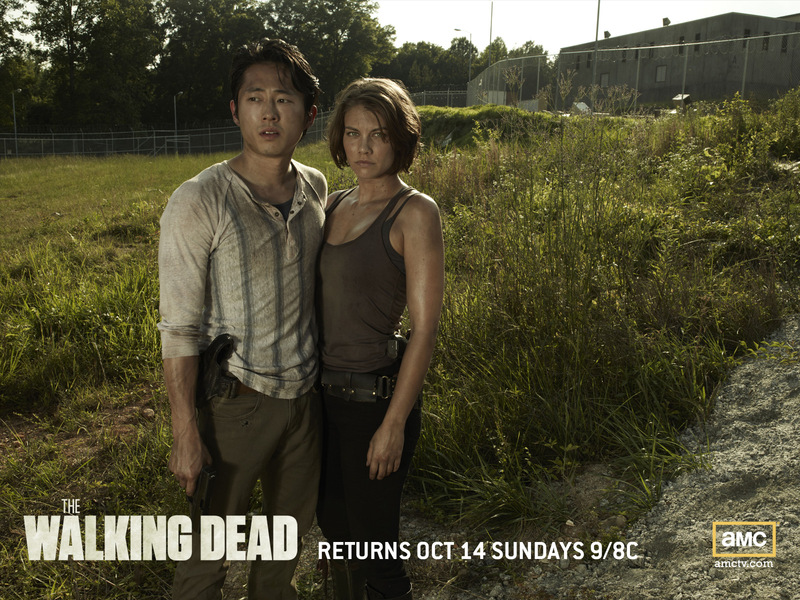 Glenn & Maggie. . HD Wallpaper and background images in the 워킹 데드 club tagged: the walking dead season 3 lauren cohan maggie greene steven yeun glenn. This 워킹 데드 wallpaper contains grainfield에서는, 곡물 필드, 곡물, 곡물 분야, grainfield, 곡 식 필드, 너도밤 나무, 너도 밤나무, 너도 밤나무 나무, 마호가니, and 마호가니 나무.